Our large ash tree (approx 2.5 meters in circumference and about 3-4 floors tall) were infected with the emerald ash borer couples of year ago and were standing dead. Eventually it started to fall, declined about 45 degrees showing roots and became very dangerous for us and our neighbors. After going through few offers and considering the reviews we decided to go with Spencer from "Alpine Arborist" and were right. He answered very quickly and appeared next day to assess the workload. The next morning he came with his team as promised on time and by the mid day the job was done and the tree was gone and it looked like the huge tree was never there from the beginning . 4. Price was very reasonable comparing to others. I am very satisfied and would definitely hire Spencer and his team again. Spencer artistically pruned our 27 year old front yard messy Linden into a wonderfully shaped tree. Work done on time, on budget and full clean up. Strongly recommend Spener and Alpine Arborist. 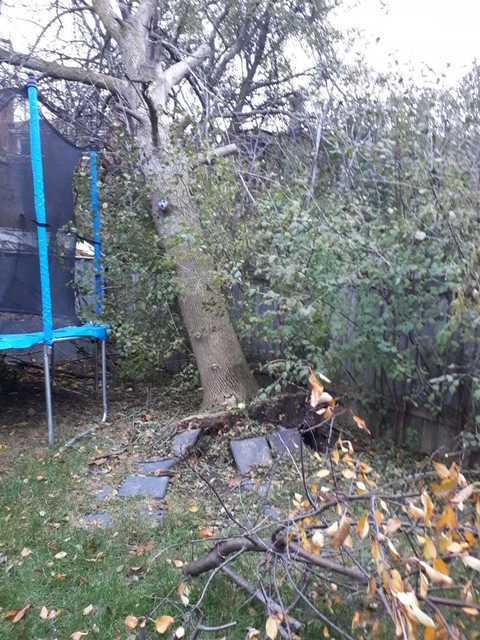 We spoke to Spencer on Monday early evening about at least one third of our Willow Tree that had broken off and was leaning on our fence and into our neighbours backyard. He came first thing Tuesday morning and removed the broken branches, and did a wonderful job at cleaning up the surrounding debris and even fluffing up our neighbours grass and ensuring that her bushes at the site were all in tact. He also took great care in salvaging our fence as best as possible. He was kind, thorough, very cost conscious, and extremely personable. We would recommend him to anyone and would use him again if needed!! Spencer was impressive from the get-go. (The mystical answer to how he knew we had three dying, 60-foot tall Scots pines in our back yard remains in the cosmos.) Weeks before we met, he (or someone) had left his over-sized business card dangling from our front door knob. Details: I called him one morning; he gave me a cost quote at lunchtime that day; we got more quotes, all in the same range (I'm in the wrong business! ), but Spencer's follow-up sold us on him. He and his two-man crew arrived three days later. Spencer scaled the first tree (how could anybody be that comfortable with a chain saw sixty feet up? ), had it down to the ground and systematically ready for the chipper in about an hour, and they were all having fun as the remnants were hauled through our gate to the driveway. Our tight working area (the property-line fence, rock garden, smaller trees, shrubs, and flowers) posed challenges, but those "obstacles" didn't hinder their performance even slightly. They respected our environment, left the property damage-free, and clean-up was thorough, right to the street. We were very happy with the results, need I say, and would recommend Spencer (and his crew) without reservation. I had an ash tree in my yard that was dying due to ash borers and required removal before any damage to my home of property occurred. I had Spencer of Alpine Arborist come to perform the removal. He removed all limbs utilizing a chipper, cut and stacked all of the larger pieces for me since I have a fireplace and left the property neat and clean! See photo of finished wood pile! 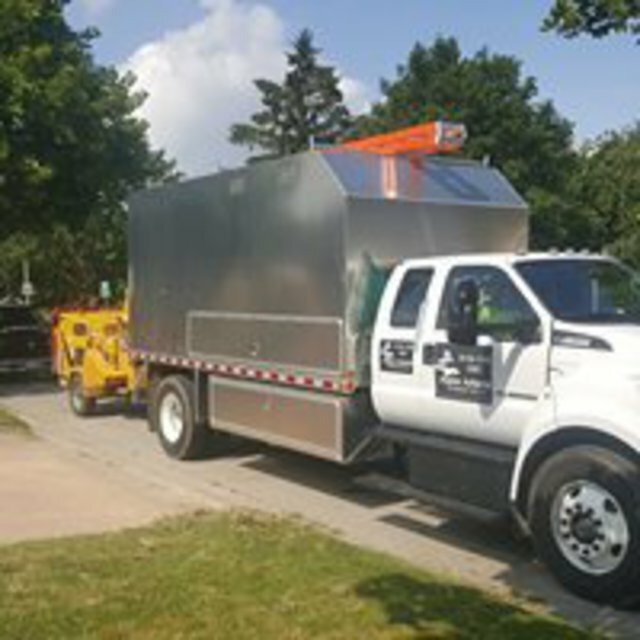 Alpine Arborist exceeds industry standards in Tree Care, providing exceptional service while continuously managing all safety requirements within the industry. 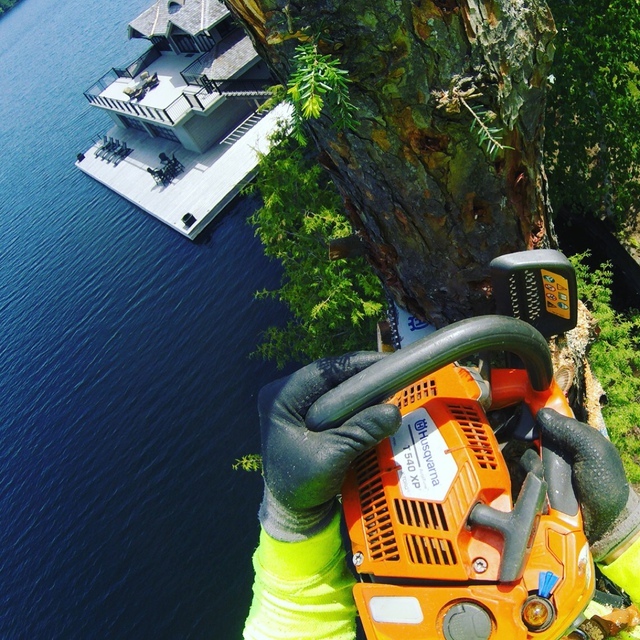 There is no job, too big or too small for Alpine Arborist ! No matter what the challenge, Alpine Arborist has the solution! 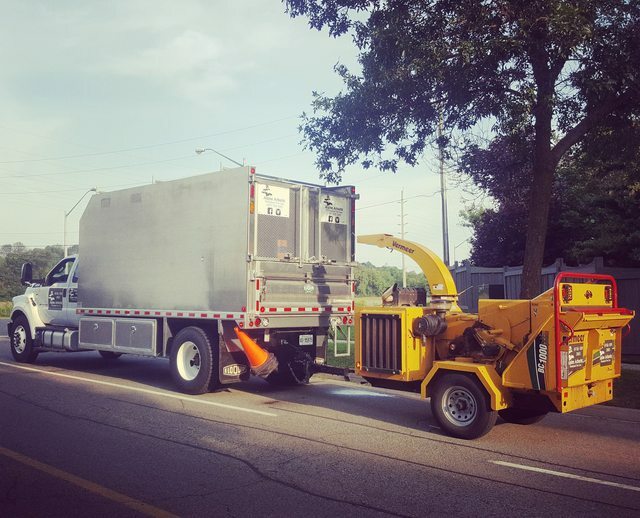 Our services include: Tree & Shrub Pruning, Tree Removals, Stump Grinding, Crane Assisted Removals, Emergency Tree Removals, Tree & Shrub Planting, Plant Health Care Programs, Consulting, Arborist Reports, Tree & Shrub Health Management.